Electric light is an important part of the modern world. We use electric lamps every day, without even thinking about it. But scientific progress does not stand still, to replace incandescent lamps come fluorescent lamps, after LED-fixtures. High quality and reliability, great durability and low power consumption are the main differences from previous generations of lamps. 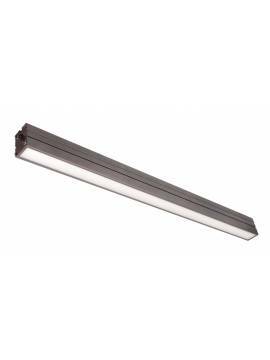 LED fixtures LEDO by "Renome" are a best alternative to the outdated ceiling fixtures with four fluorescent lamps. High quality material guarantees the service life of our lamps are not less than 10 years, and the official warranty from the manufacturer - for three years. Qualitative software installed in the led fixtures provides efficiency greater than 90%, the ripple barely reaches 5%. With these parameters, we obtain the maximum illumination similar to daylight and does not tire your eyes. At the same time, totally absent flicker and hum as in fluorescent lamp. Efficiency of light-emitting diodes characterizes the amount of Lumens in light stream which is produced for a 1 Watt. The middle watts-in of offices light-emitting-diode fixtures of company "Renome" is equal to approximately 30 W, that allows to give out a light stream about 3000 Lumens. LED fixtures is almost 2.5 times more economical than fluorescent lamps, power consumption which is 72 watts or more. Index of colour rendition of LEDO of lamp corresponds to the "1b level" with the coefficient of colour rendition 85. A colour temperature is varies from 2700К to 6500К (from warm to cold), depending on the wishes of customer. 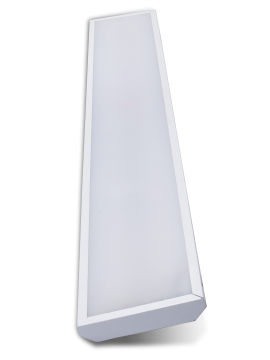 LED lighting LEDO - this is a professional high-quality LED-lamps with a wide range of applications. "Renome" company offers LED lamps own production for office, commercial and industrial facilities, shopping and logistics centers, warehouses. We also have a good offer for the communal services and associations of condominium buildings - LED lighting for entrances and stairwells, as well as street lamps for lighting areas, courtyards and buildings with varying degrees of protection against water and dust. The portfolio of our proposals there have also an effective solution - LED-lighting for greenhouses. 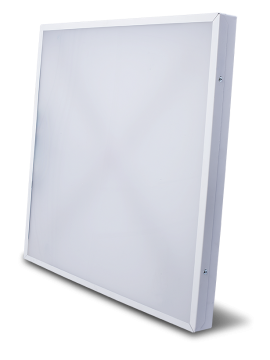 For more information about LED fixtures LEDO, prices and availability, please contact our managers at +38 (067) 383-75-46. For wholesale and corporate costumers we will offer additional discounts and favorable conditions of cooperation. Delivery across Ukraine.